My hand quivered as I stared into the red liquid in the glass. It sloshed against the sides, leaving bloody streaks in its wake. I pressed my back against the door and took a steadying breath. I was overreacting. The vampires seated behind the closed door wouldn’t harm me—not without permission, of course. With the supply of human slaves running low due to the war against the werewolves, I had cost Darren Sheppard more than I was worth. The others wouldn’t drink from me without his consent. Swallowing back my nerves, I opened the door and stepped into the dining hall. The room fell silent. I cast my eyes to the maroon carpet. I didn’t deserve this humiliation; I deserved to be one of them, a member of their vampire guild and an asset to the war. “I’m sorry, sir.” I gritted my teeth and bowed my head. My lips pursed. The werewolves wanted humans on their side? Despite my nights spent eavesdropping on Darren’s war council, I had never heard that before. Was it a recent development? Nodding, I scurried out of the dining hall. Tension leaked out of my muscles as I shut the door. I turned to the staircase in the center of the foyer and padded up the steps. As I slid my fingers up the railing, a wet squelch caught my attention. I looked down in disgust at the narrow river of blood on the golden fixture. I had just cleaned it the other day. At the top of the staircase, I crossed the hall leading to Alison’s bedroom. Light radiated from beneath her door. It illuminated the walls and left a yellow patch on the hardwood floor. I smoothed down my auburn hair and tried to overlook the disappointment gathering in the pit of my stomach. It was useless to get my hopes up whenever I mentioned the subject to Alison. The answer would never change. I would never become a vampire, not as long as Darren was my only hope. I opened my mouth to argue but soon rethought my decision. It wouldn’t make a difference. If Darren couldn’t understand the point of changing me, why would Alison? They were oblivious to the assistance I could give to the war effort. Unbeknownst to Darren, I eavesdropped on every meeting he held to gather information. The headboard of my bed was littered with sketches of battle plans and tactics, and I collected old newspaper scraps out of the garbage to scour for developments in the war. I knew how to help, if they would only let me in. Disappointment engulfed my chest. No one was allowed into his office. I had wandered in once by accident, and Darren nearly drained me of blood as a result. The room was positioned next to the dining hall; any sound I made would travel through the walls and alert him of an intruder. The punishment if I was caught was unimaginable. But was it worth never knowing what it felt like to be an accepted member of society? Without another word, she turned away and entered the dining hall. The door shut behind her. My thoughts were drowned out by the throbbing of my heart. Darren’s office was situated in an alcove on the side of the wall, pressed against the dining hall. Suppressing my fear, I opened the door. The hinges creaked. I flinched, slipping through the crack. The lamp in his office was on when I entered. Papers stained the surface of his desk, hanging over the edge of the mahogany. A case filled with silver-tipped stakes hung on the wall beside an old family portrait. I gazed up at it. Darren was smiling, illuminating the picture with his joy. I didn’t remember the last time I had seen him smile. My hip slammed against the corner of his desk. I clamped my hands over my mouth to hold back a shout of pain. Squeezing my eyes shut, I circled behind his desk and ignored the pain. I dropped to my knees. The bullet was likely kept in a secure location. Because there wasn’t a safe in his office, the most logical place was in his desk. I opened the drawer and rummaged through the contents. A silver box tucked in the back corner caught my eye. I pulled it out and held it up to the lamp. It was held shut with a black clasp, decorated with scratch marks. My fingers fumbled to unlatch the clasp. My lips parted as I gazed at the box’s contents. A single silver bullet rested on a patch of black velvet, reflecting the gleam of the light bulb. The edge of the bullet was engraved with the image of a bleeding wolf, the symbol of the werewolf army. This was it. This bullet was my key to acceptance. It had to be. Unscrewing the cap, I squinted into the case. Instead of gunpowder, the bullet was filled with a navy liquid. Its foul scent drifted upward into my nostrils and reminded me of sweat on a hot summer’s afternoon. I gritted my teeth. I knew what I had to do. I dumped the liquid into my mouth. It slid down my throat like oil before coming to rest in my stomach. Heat blossomed within me, spiraling through my muscles and bones. I shuddered as the sensation exploded in my mouth. My body gave out on me, and I collapsed onto the carpet of Darren’s office. Vision dancing, I held the box up to my eyes and gazed at my reflection. My eyes shone sparkling silver, quivering like flames. I pushed my upper lip away from my teeth and nearly dropped the box in shock. 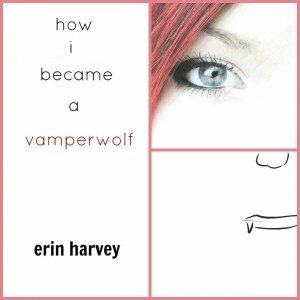 Instead of human teeth, all of them had been transformed into deadly spikes and elongated fangs—a combination of the mouths of werewolves and vampires. I stumbled to my feet and ran out of Darren’s office. My feet collided against the wood of the hallway. Ramming into the door of the dining hall, I shoved it open. I dropped the empty bullet onto the table. Without a word, I opened my mouth and revealed my teeth to him. Find out how you can participate in the Polly Wants to Be a Writer Fan Fiction Challenge. I want more! I want more story! This was incredible writing and I loved it! Please continue with it if you can and continue to post it so I can read it! This was so good I couldn’t stop reading it!! !